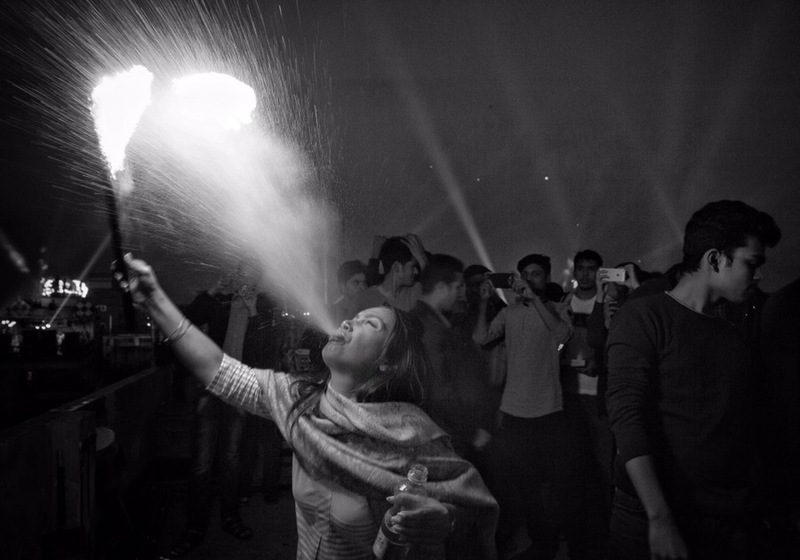 January 14, 2017 – Dhaka, Bangladesh – A woman spits fire on the last day of Bengali month Paush. This traditional festival is locally known as Sankranti. People of the old Dhaka celebrate Shakhrine with colorful kite flying during the day and fire eating and performances after dark. Rally To Save Sundarbans Mangrove Forest . . .